New Price! Charming 3 bedroom, 3 bath, fully furnished home on an over-sized lot with open beam ceilings and Australian Cypress hardwood floors throughout. 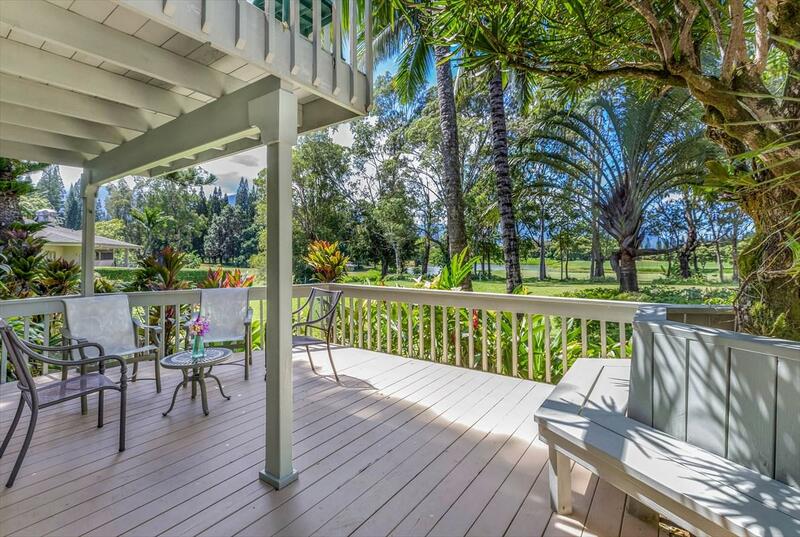 Expansive lanais to enjoy the epic sunset, mountain and golf course views. Upgraded kitchen with custom cabinets, counters and chef-quality, stainless steel appliances including a 6-burner, gas Wolf range. 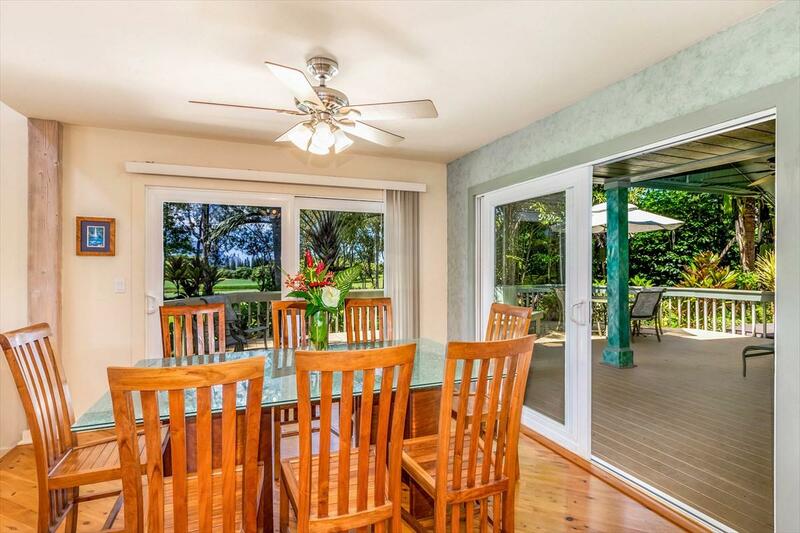 Dining area is surrounded by large glass slider doors offering extra light, views and opening up to the main lanai for optimum indoor/outdoor living and entertaining. Additional seating at kitchen bar. Two spacious master suites on separate levels for maximum privacy plus additional guest bedroom. 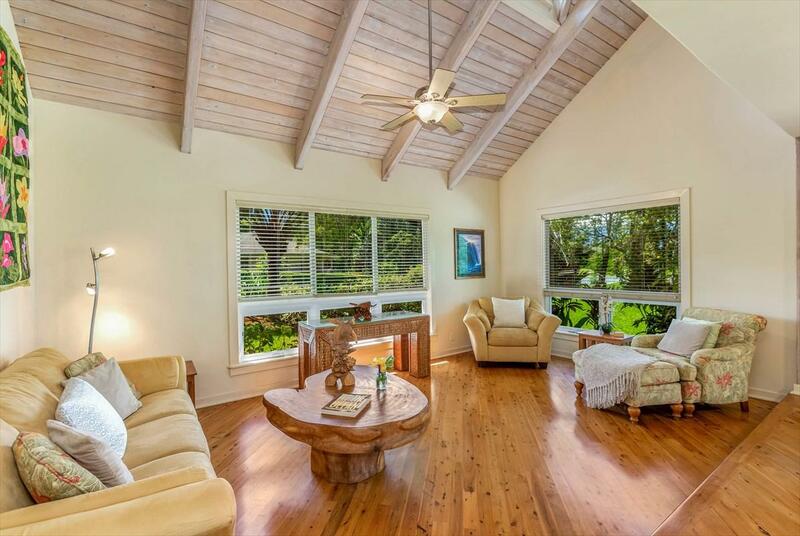 Each bedroom features high, open beam ceilings and its own private lanai. Bathrooms have all been upgraded with custom, artistic design and finishes. Huge bonus space upstairs perfect as a den and game room for entertaining or to provide extra for extra sleeping. Ideal location on a quiet cul-de-sac. Private back yard with Jacuzzi off of the deck and mature, colorful landscaping.This home is being sold turn-key and would make an excellent vacation rental, second home or primary residence.Ideally located in the Resort community of Princeville, this appealing home is walking distance to shopping, dining and golf. 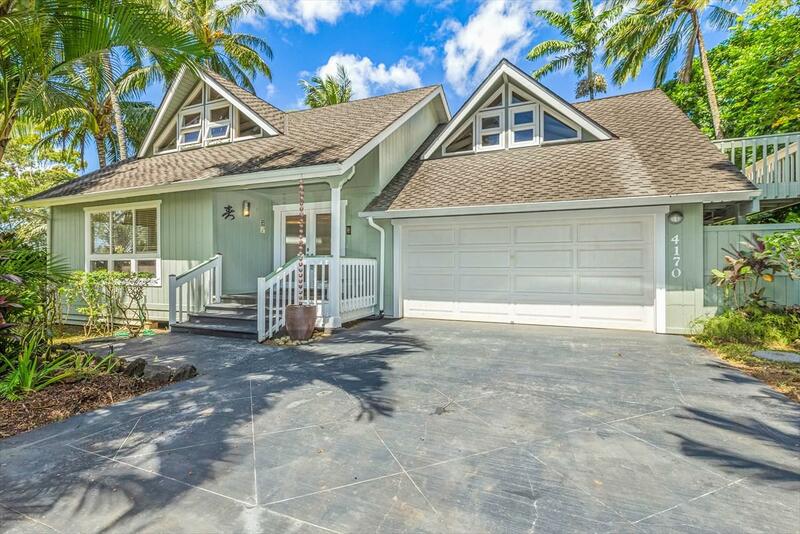 Short drive to Hanalei Bay, numerous beaches and all the north shore has to offer.